This 12x12 double sided Designer Paper has the front side with Quadrants of Birthday & Panda Icons. The reverse side has a blue tone-on-tone with Birthday horns. 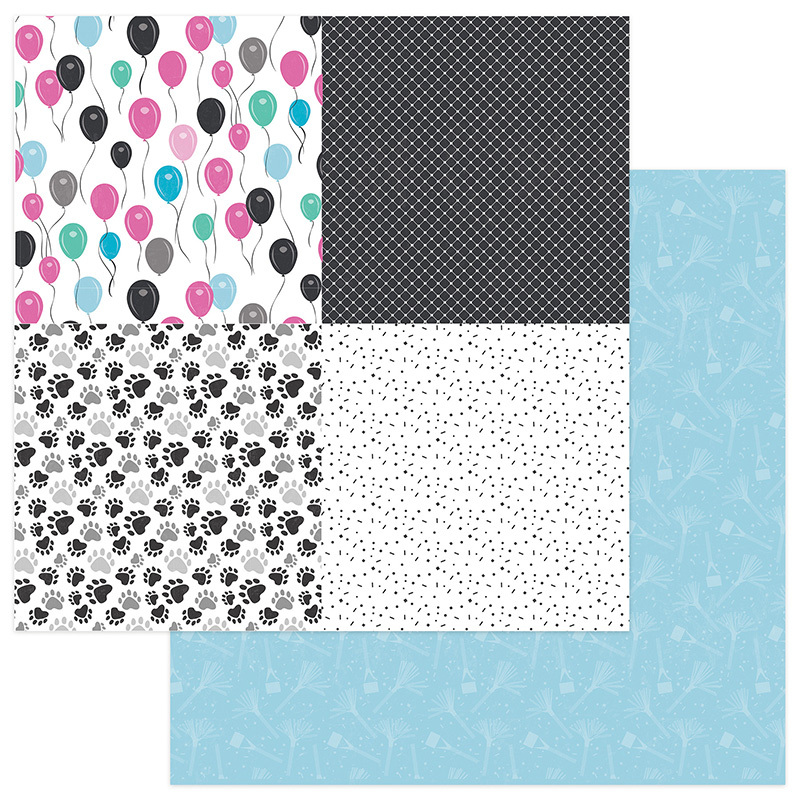 Look for the coordinating Panda Party Collection Kit and single sheets of paper. Part of the Panda Party Collection by PhotoPlay Paper.